I’ve decided to take part in a monthly series called Writeous Reflections which is hosted by Yulunda of Y I’m Writeous and Bijee of The Reflections of a Good Woman. Each month we’ll reflect on a different prompt provided by these dynamic women and gifted bloggers! I thought I’d reach back and share a few things with you. First of all, you’re adorable! That smile and those chubby cheeks—you are a doll! In later years, I really needed your fun-loving spirit to remind me of the beauty of life. Alas, I could not connect with you. I’m sure the moments of darkness and turmoil forced you into a hiding place. I don’t blame you at all! Trinka, I do want to thank you though. Thank you for holding on—for being strong when you didn’t know what strength was. You were always reaching out to others to help, help, help. Always trying to understand which lead to your career in counseling, I’m sure. However, truth be told, you were seeking to understand yourself by looking at others. I know that now. Spoiler alert: It didn’t work! But it does get better! Getting back to the reason why I’m writing to you today. 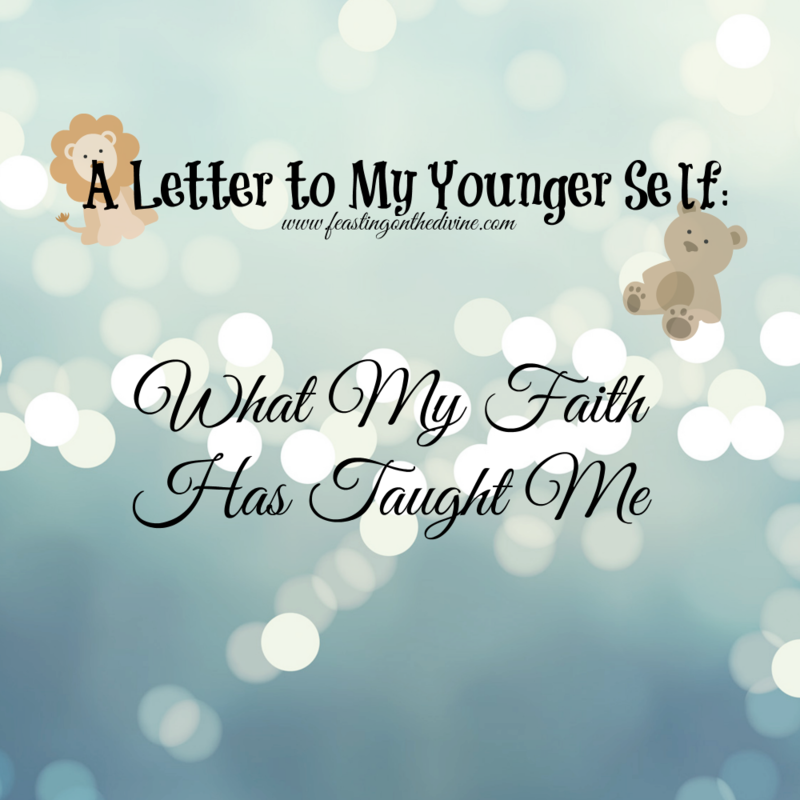 Your little heart is going to bubble with joy when I tell you what faith has taught me. It’s a wonderful word! Hold on! You don’t have to run to a dictionary. I remember your insatiable curiosity for words and reading. At Sylvester Elementary, you probably visited the huge dictionary in the library every day. The one with its own special stand? Anyway, faith, according to Merriam-Webster’s dictionary, is defined as strong belief in the existence of God. 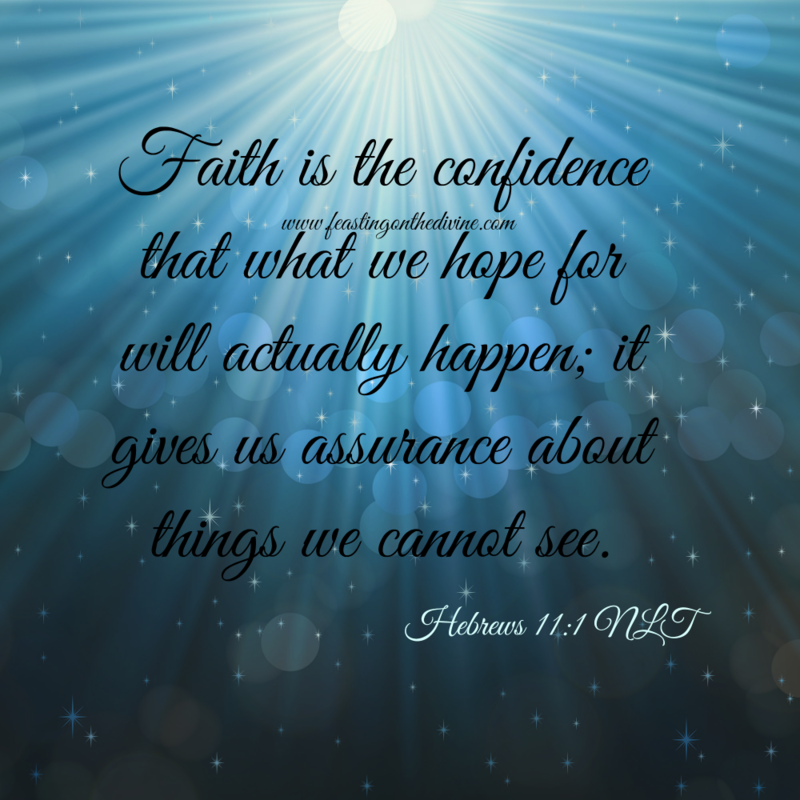 The Bible says faith is the confidence that what we hope for will actually happen; it gives us assurance about things we cannot see. It’s in Hebrews 11. Faith, oh Trinka… It’s going to save you! Faith makes you free. Free from worry and most importantly for you, free from self-reliance. You will not be able to do it all on your own. Please please keep that in mind. Faith has taught me our power, identity, joy, peace and strength are found in God. Oh, I want to warn you about a particular part of your journey where you will lose your confidence. It will be damaged for years, but when you get the opportunity to learn about and increase your faith, Trinka grab onto it for life! Faith is going to restore you--mind, body, and soul. Your confidence will be connected to God, and He’s going to use so many ways—girl, I mean a hundred umpteen million ways—to show you His love for you. It’s so good!! Faith delivers you from past hurt, and your little world will finally make sense, Trinka. It’s why I’m finally able to connect to you and tell you everything you’ve faced and will encounter is so worth it! It’s faith-building material and with it, you’re going to have an awesome life with God!! You've encouraged my soul with your words. Especially, "Thank you for holding on—for being strong when you didn’t know what strength was." YEAH, I have to Tweet that. Talk about FAITH! It is my prayer that our Honest Reflections will carry us higher in God and help others to grow in Him and His grace. Our Steps are ordered by Him and I am glad He led you to us. Thank you Yulunda! So honored by your words! :-) Yes God is always up to something, and I'm sure Writeous Reflections will speak to many hearts. I LOVE how you thanked her for being strong. Never thought to thank my younger self until I read that! Thanks for the reminder! You're welcome! :-) And it only came to me as I was writing my letter.. Thinking wow I made it! Thanks for stopping by! This is so awesome! "Faith has taught me our power, identity, joy, peace and strength are found in God. " this statement right here sums it all up! Thank you so much for participating! Hippie to see you next month! Happy blessed new year! For me, faith has meant freedom! God is so awesome! 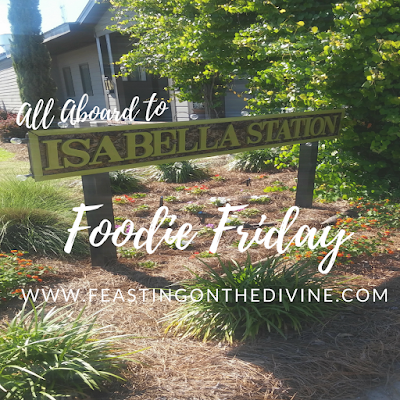 This blog hop is a great idea Bijee! I appreciate your comments. :-) And happy blessed & prosperous new year!